I am a practicing Anesthesiologist who has researched, concocted, created and written about cocktails for 30 years. Our website, docelliott.net, is for the host wishing to entertain family and friends with craft cocktails and gourmet foods at home. The Corpse in the Sand (No 2) 1 Vote Up! Plymouth Old Fashioned 23 Votes Up! The Mad Hatter Martini 9 Votes Up! 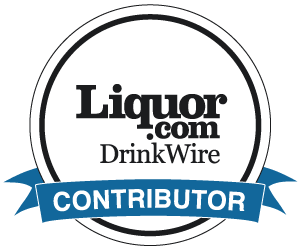 Barbancourt Old Fashioned 47 Votes Up! John Dandy 3 Votes Up! Chocolate Covered Rum 29 Votes Up! Dessert Drinks We Love: Nectar de Café 1 Vote Up! Boulevardier with Negroni-Aged White Whiskey 5 Votes Up! Cucumber Jalapeño Mule – 3 Ways (or maybe 6 ways!) 7 Votes Up! Paradise Remembered 6 Votes Up! Wet Martini with DIY Sherry Barrel Aged Gin 2 Votes Up! Southtown Swizzle 6 Votes Up! Elephant's Memory 4 Votes Up! Jerkey Infused Coffee Pecan Old Fashioned 4 Votes Up! Kumquat Irish Whiskey Sour 3 Votes Up! Sun and Snow - a Coconut Coffee Cocktail 5 Votes Up! Italian Cousin - a Bitter/Sweet Balance 2 Votes Up! Blood, Smoke and Sand 5 Votes Up! Rakia Ximénez 6 Votes Up! Hendrick's Cocktail 5 Votes Up! Pumpkin Bisque Shooters 5 Votes Up! Grandfather McFly 55 - a Mid Century Martini 0 Votes Up! Carpano Squared 2 Votes Up! Gin and Beer Tonic 1 Vote Up! Tennessee Chocolate 2 Votes Up! DIY Tonic Bar for Your Next Party 1 Vote Up! Jalapeño Margarita 5 Votes Up! Mélange d'Or 3 Votes Up!